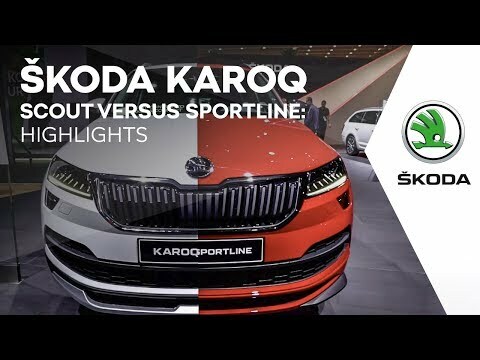 The All-New ŠKODA Karoq is another addition to the ŠKODA SUV family. Its advanced technology and intelligent design features take the brand to a whole new level. This bold and spacious SUV is a must have for navigating through cities and exploring nature. The Skoda Karoq is full of clever design features to bring ease and style to everyday family life. The rear seating caters to eating on the go, with foldable tables and cup holders to the rear of the front seats. While the front seating offers luxury upholstery and a three-spoke leather multi function steering wheel to bring excitement and sophistication to your driving experience. An added extra is the carefully designed storage spaces, which can keep every family organised. The Skoda Karoq has been designed to keep you and your passengers safe and connected. The Park assist mode will locate a suitable space and park it for you, meaning you never have to worry about parking ever again. For those days when you’ve got your hands full use the ‘kick motion’ to open the boot automatically for you, while the VarioFlex seating system allows you to painlessly create more space and even remove the seats completely. For the modern family there is Smarklink+ which enables you to connect to your smartphone through Apple CarPlay™, Android Auto™ or MirrorLink™ and use your mobile phone services via the car’s display. To keep the family singing on long journeys is the Canton sound system, which delivers outstanding clarity from the 10 speakers perfectly placed round the whole car. The Skoda Karoq has a choice of four engines, four-wheel drive option and a choice between a manual or automatic DSG transmission gives you more control over how you want your new ŠKODA Karoq to perform. Whichever engine you choose, the ŠKODA Karoq is designed to boost efficiency with a range of advanced technology, including the start-stop system, gear recommendation and brake energy recovery. The ŠKODA Kaoq Sportline packs plenty of clever solutions, plentiful space and sporty design style. Embrace adventure in total SUV superior style. The elegant, sport-styled interior keeps things relaxed on the inside, no matter how hair raising things get on the outside. Add a bit of digital savvy to sports styling. Plot your journey simply and clearly with satellite navigation and get eyes in the back of your head with the rear-view camera. Striking black radiator grille, door mirrors and roof railing. This fine attention to detail is what makes for a sportier look. Silver stitched revolutionary three-ply air-permeable Thermoflux fabric, helping keep you cool and comfortable. At the rear the iconic illuminated C-shaped lights and the chrome exhaust gives the SportLine that unmistakable look.